“La Guía Esencial de Walt Disney World” – http://amzn.to/T3sB54 – is the first unofficial guidebook in Spanish dedicated to the Walt Disney World Resort in Florida, and it has quickly escalated positions in the travel sections of both the American and the Spanish Amazon stores shortly after its publication. Oscar has a day job, but he spends most of his free time helping Spanish-speaking families plan a perfect Disney theme park vacation, sprinkling some pixie dust (in their own language) along the way. 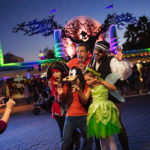 This 36 year-old former investment banker – better known as “Disneyhispana” on the Internet message boards – has been in love with the Disney theme parks ever since his first visit to Orlando back in the eighties. 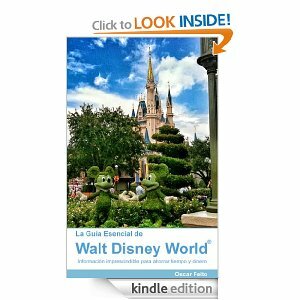 Growing up, the Author of this pioneering guide to Walt Disney World in Spanish was fascinated by how Walt had essentially invented the theme park industry and prevailed against all odds by focusing on customer service and attention to detail. Walt made his dream come true, and in the process created life-long memories for millions of guests. A self-confessed Disney parks junkie, the guide’s Author was amazed at how much more enjoyable a vacation experience could be if you actively participated in these online communities and engaged with other like-minded fans. That’s when he realized that non-English speakers were really missing out on much of the fun, spending huge sums of hard-earned cash on their Disney vacations and not knowing half of what was going on. According to a report by the Themed Entertainment Association, the Walt Disney World theme parks in Orlando attracted over 47 million guests during 2011. Data from the Florida Board of Tourism suggests that a significant proportion of these visitors are native Spanish-speakers. 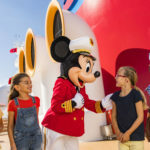 In 2011, for example, it is estimated that over 380,000 tourists from Mexico visited Orlando, close to 375,000 from Argentina, over 360,000 from Venezuela… Although “The House of Mouse” does not release official attendance figures by nationality, it can be assumed that a significant proportion of these Latin American tourists that visit Orlando spend at least a couple of days at the Walt Disney World Resort. Oscar was amazed that there was essentially no unofficial online community or guidebook catering to the needs of these Spanish and Latin American Disney theme park fans in their own language, so in 2007 he decided to build it himself. Centered on the unassuming http://disneyhispana.blogspot.com blog, where he has written close to 1,000 informative articles and vacation planning tips, Oscar single-handedly created an unofficial Disney theme park community with close to 40,000 active members. In addition to the blog and massive following on social networks such as Facebook (http://www.facebook.com/DisneyAdictos) Oscar has produced the first fan-based Disney parks podcast in Spanish, which has been repeatedly featured in the iTunes travel section, as well as a dedicated YouTube channel catering to Disneyland and Walt Disney World fans in their native language. At just under 400 pages, “La Guía Esencial de Walt Disney World” (http://amzn.to/T3sB54) is the culmination of several years’ worth of research and it has been well received by the Hispanic community. But travelers are not the only ones benefiting from this booming community of Hispanic theme park fans. A number of local advertisers – from specialized travel agencies to vacation villa and ticket vendors – see in this community a unique opportunity to tap into a huge and lucrative market which had very much been abandoned due to the language barrier. Until now.